WOW CAN'T BEAT THIS DEAL WITH A STICK! ANOTHER GREAT PROPERTY AT AN EVEN BETTER PRICE! 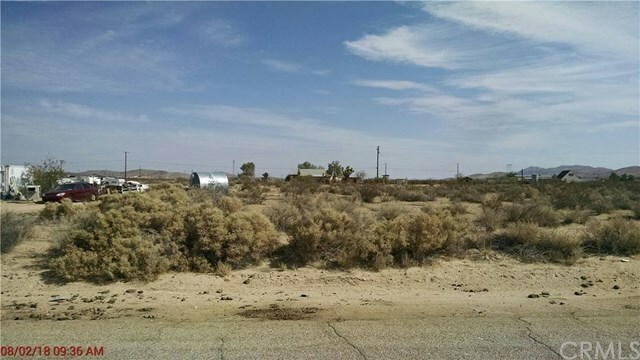 THIS VACANT LAND IN APPLE VALLEY FEATURES OVER 30,000 SQFT LOT ALL FOR UNDER $20,000! DON'T MISS THIS UNIQUE OPPORTUNITY TO BUILD YOUR OWN APPLE VALLEY HOME TODAY, AT AN UNBEATABLE PRICE! Directions: I-15 N toward Barstow, Take exit 157 for Stoddard Wells Rd toward Bell Mountain. Turn left onto Stoddard Wells Rd destination on left.